Your bounding ball of fluff has started to settle down and melow and the first few silver hairs have started to sprout. It’s hard to accept that she’s turned 7 already. Where did all the years go?! At age seven, cats and dogs start to enter the ‘golden years’. This means that you’ll have to make a few adjustments to meet their needs and help them enjoy their ‘retirement’ years. As pets age, their requirement for certain nutrients change. Generally a lower fat, higher quality protein diet is recommended. Increasing fish oil and adding glucosamine to their diet can help with stiff joints and can sharpen the brain. The best way to meet their nutritional needs is to feed a diet specifically formulated for senior pets. This takes the guesswork out of supplementing the diet. It’s simply untrue that you can’t teach an old dog new tricks. In fact, it is important for older pets to still keep their minds active through training. Their desire to please their owners doesn’t diminish with age. With modern veterinary medicine, many of the ailments that were once left to stagnate are readily treatable. Stem cell therapy is available for arthritis and even radiotherapy for cancer. Sometimes, making changes to the house can make a really big difference. Placing floor coverings with some texture can add to your older pet’s traction so their arthritis isn’t as painful. Consider putting blocks in between steps of a staircase to act as ‘stepping stones’ to make their ascent easier. Remember that age (both in people and animals) is the biggest risk factor for cancer, so always get any lumps and bumps checked out by your veterinarian. 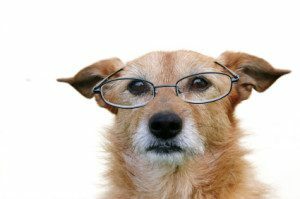 Above all, because pets age at roughly seven times the rate of people, regular exams by your vet (twice a year for seniors would equate to every 3.5 years for humans), will help problems being picked up early. There is often an underlying medical reason for pets becoming quieter in their golden years than simply ‘getting on’. Dementia and heart disease are two examples of treatable diseases that can often appear as ‘aging’.